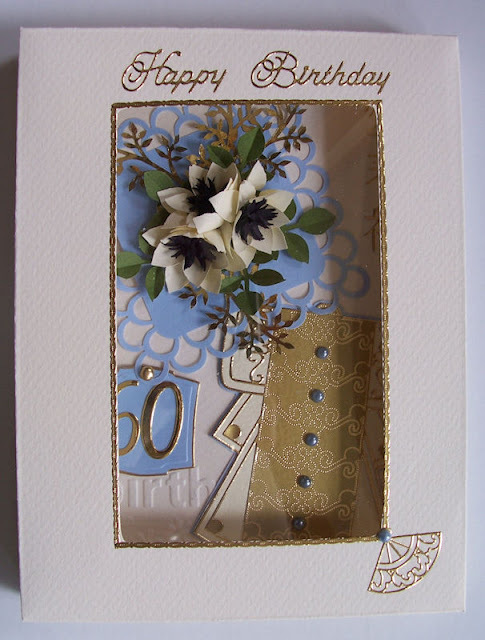 Today I am showing a card that has a technique that first got me into making my own cards, and is still one of my favourites, and one that I will always go back to. 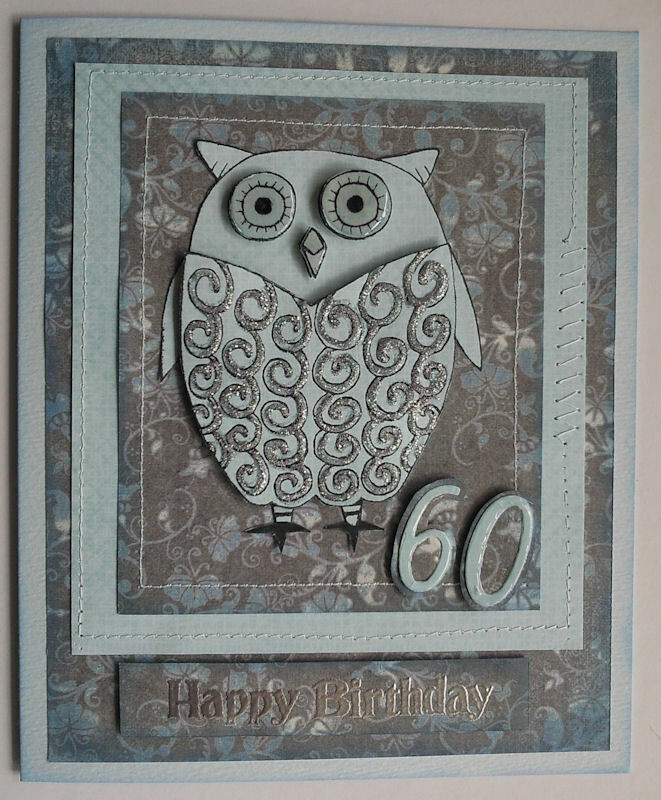 This card was made for another online friend. Actually there are two techniques on this card the one I was referring to is the stitching the other of course is 3D or Paper Tolle. 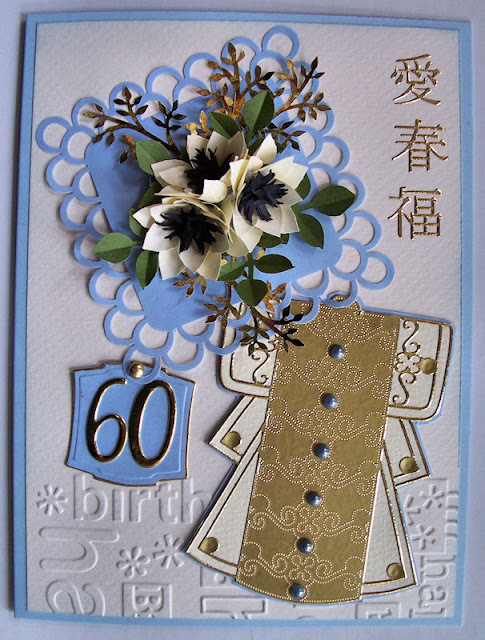 I'm back today with a card for my Favourite sister in laws husband, who is turning 60 at the end of the month. 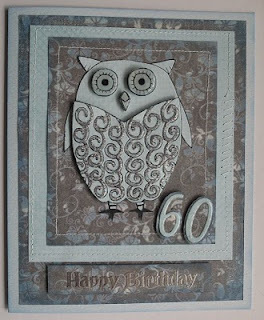 I stamped the owl twice and layered the eyes beak and body, some dimensional magic on the eyes and beak and some 3D paint on the swirls of the body. A bit of machine sewing and inking around the edges and I would have liked to put some eyelets at either end of the sentiment layer but didn't have a colour to match and it needs to go into the mail today so it has to do without. Gosh I'm a bad blogger, its been almost two weeks since I last posted........where did that time go........the weather here is much nicer ( we are into spring) and I have been spending time in the garden, but I have no idea where the rest of the time went. 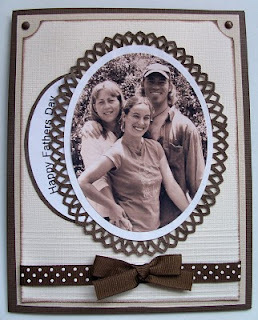 Anyway.............I wanted to share this card with you, it's an idea I saw on the www somewhere and have been wanting to do. 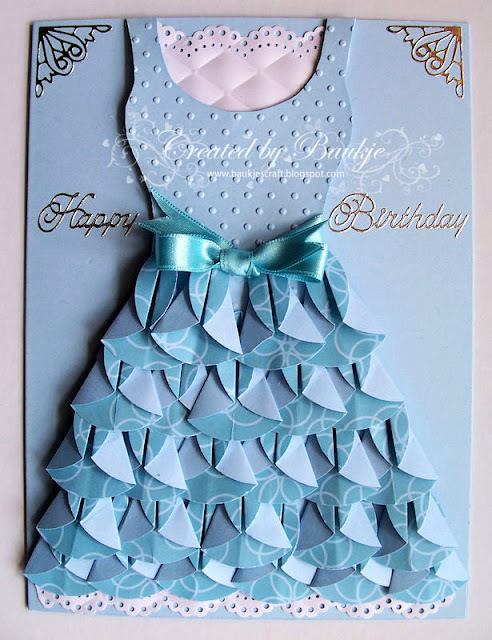 I started off making the dress as the card shape but changed my mind and decided to put it onto a folded card, which I wish I hadn't because I just couldn't decide how to decorate the card, so ended up with just some peeloffs. The top of the dress I ran through the Swiss Dots embossing folder and the dress skirt is made up of tea bag folds using the dahlia fold. I love these little Gorjuss Girls, Suzanne Woolcott is the wonderful artist, who unfortunately has not been well and is now struggling to keep doing her beautiful little girls. For this card I decided not to colour her in, instead I paper pieced her dress, boots and the heart in her hair to which I also added some dimensional magic. 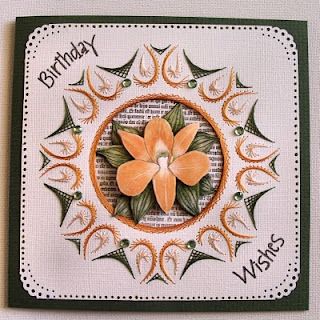 The embossed background is a new embossing folder from Craft concepts called Budding Vine ( these folders emboss sooooo beautifully), I wiped a one inch ink pad very gently over the top of the embossing to give it some colour. 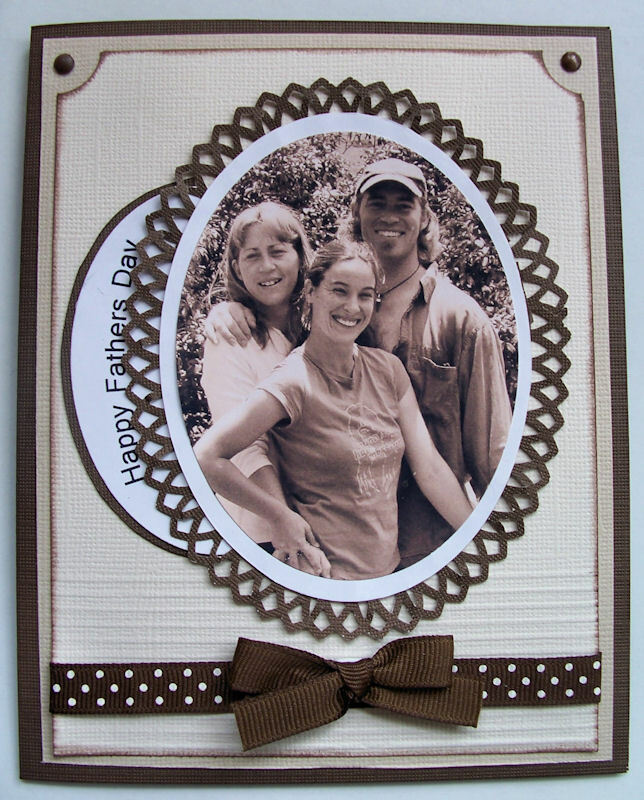 Fathers day is here again and as my husband loves it when I use a photo of our children on his card I've used my favourite photo of them. It was a spur of the moment shot, our eldest daughter had to get out of her pj's for it and the other two are in their working clothes. And gosh I've just realised the photo is going on for 6 years old, it was the first time all fifteen of us where together, I think its time to get them together again for an update. The trouble is we all, except for our eldest daughter who lives a ten minute drive away live so far apart from one another. An online friend is turning 60 this week and this is the card I made for her. 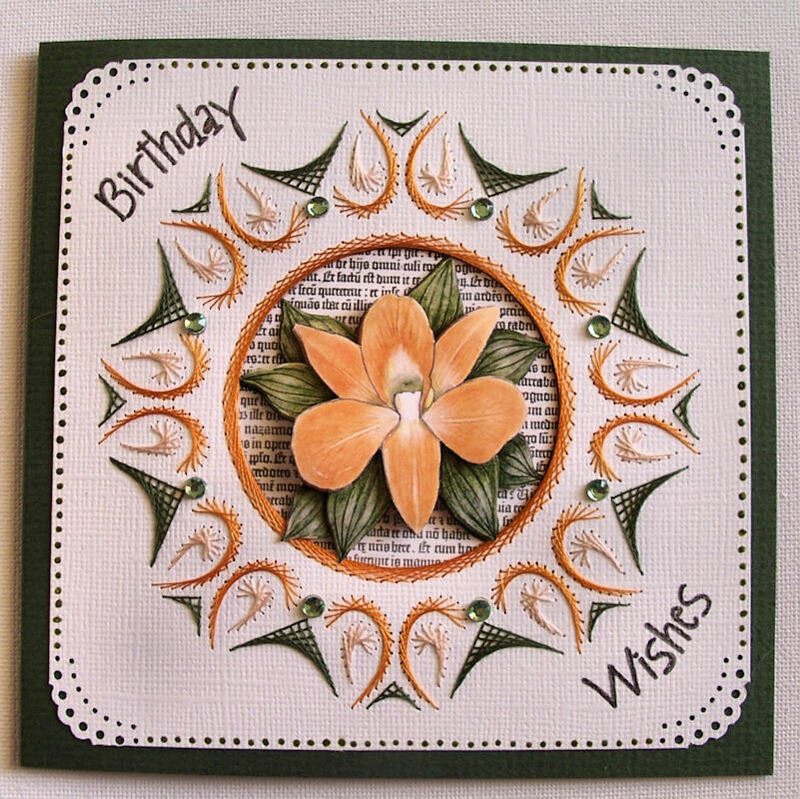 I used my brand new Martha Stewart punch around the page punches and I just love it, now I want to get more of them.